Join Steve Davison, Fingerfood and the Dozier Hill band for a night of American stringband music. 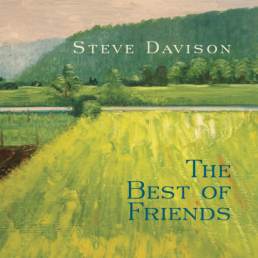 Steve Davison is releasing a new CD, The Best Of Friends which will feature the full ensemble. The Dozier Hill Band featuring Danny Dozier, Tim Crouch, Irl Hees and Kenny Loggains will open the show with a set of songs from the Americana songbook. They will then join Steve Davison and Micky Rigby to perform the new CD project.